Pizza comes in many forms. Mr. Prevention tends to request things along the lines of Chicago-Style Deep Dish Pizza, while I try to improvise with recipes like Portabello Mushroom Pizzas. There’s been recipes circulating on Pinterest for a “cauliflower pizza crust”. I’ve read people’s comments and based on the many I’ve read, I think I’m going to pass. I stick to my claims of there being such a thing as “too healthy”. If you don’t enjoy what you’re eating, consider those calories wasted. I really enjoyed the Portabello Mushroom Pizzas, but were they pizza-like? Not so much. Not in a bad way at all…but they don’t curb the cheesy, greasy, carby pizza cravings people are up against. However, potatoes are carb-a-licious. And if you bake them to perfection, they have that slight crisp on the outside and the fluffy carb on the inside. And let’s not forget that potatoes offer up a great source of potassium and dietary fiber, among other vitamins and minerals, and are naturally fat-free. Potatoes…we’re on to something. BIG. The need for carbs has been met. The rest is preference. Veggies? Pepperoni? Whatever is your pleasure. In the case of these Baked Potato Skin Pizzas — I added mini bell pepper slices to my skins…and mini bell pepper and turkey pepperoni (quartered) on Mr. Prevention’s skins. But the beauty is…you can add what…ever…you…want! These take about 90 minutes to come together, but very little is hands-on time. The ingredients are simple and inexpensive. Curbing the pizza cravings for 101 calories, 3 grams of fat, 1.6 grams of fiber, and less than 12 grams of carbohydrate is…fabulous. And the taste? I promise it won’t disappoint! Place the potatoes on a large baking tray. Bake the potatoes for 40 to 50 minutes, or until softened. Remove from the oven and let the potatoes cool slightly. Cut each potato in half and scoop out the flesh, leaving about 1/4-inch of the potato skin. Lightly spray the potato skins with cooking spray and season with sea salt. Bake skins for 8 to 10 minutes on each side until they are crisp. Remove. Fill each skin with about 2 tablespoon tomato sauce, top-up with mozzarella cheese, and bell pepper. Bake 15 to 16 minutes, or until the cheese has melted. Allow to cook for 5 minutes and serve warm. Yield: 8 potato skin pizzas. Result: A healthy alternative to pizza and a great, fun finger food that is very kid-friendly. These are perfect for a game or get-together, or could be made into a meal by pairing with a salad or veggie side. Enjoy! Money Matters: Potatoes are $0.50 each. I used about 1/3 of a package of shredded cheese which came to $0.66 (packages were on sale for $1.98 each). Tomato sauce is $0.60 for 8 ounces. The bell pepper and spices come to about $0.40. The total cost of the recipe comes to $3.66 making the cost per “pizza” $0.46! Clinic, teach, clinic for me. Have a great week! 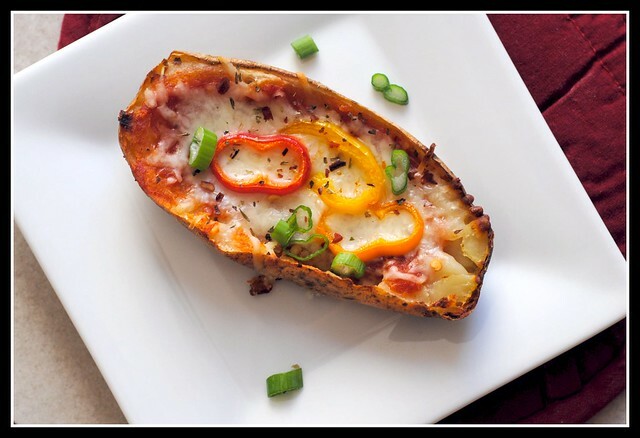 I kind of like your potato pizza idea – going to have to give it a shot one of these days. Especially since we always have extra potatoes on hand. This is such a good recipe. 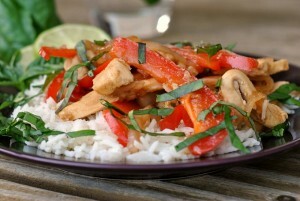 Cheap, healthy, delicious…sounds perfect! What a great idea! I do love potatoes. 🙂 So cover them in cheese and tomato sauce… pish, I am so there. Baked potatoes were a grad school staple for me – with salsa, shredded cheese, black beans and sour cream. Cheapy cheap! I love the idea to make it pizza-like; what did you do with the extra potato innerds? I really love potato skins. They were one of my favorite apps to get when out in college…. These look so great, and I can practically smell them baking! Will be giving these a try soon. 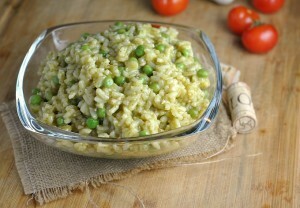 Yep – totally making these for my lunch this week – yum!! What an adorable idea! This really is the perfect finger food. I love the colorful toppings you added. This would be perfect for a party app. Trust me, you aren’t missing anything by skipping out on the cauliflower crust. I tried it once and was sorely disappointed! 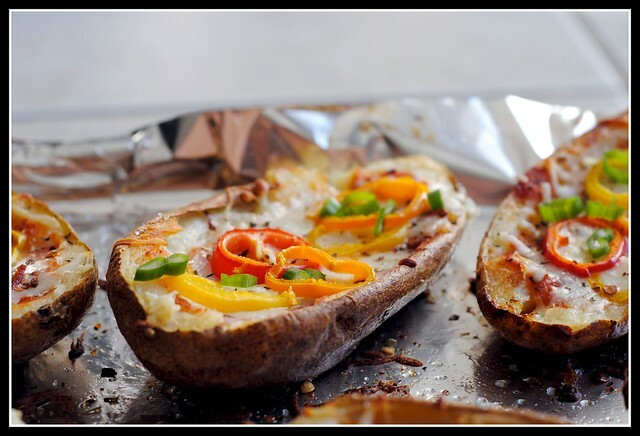 I’m not a huge potato person but these really sound fantastic, I’d happily eat them for dinner or a snack! See, I think the cauliflower pizza crust sounds amazing, but I really love cauliflower so maybe that’s why? 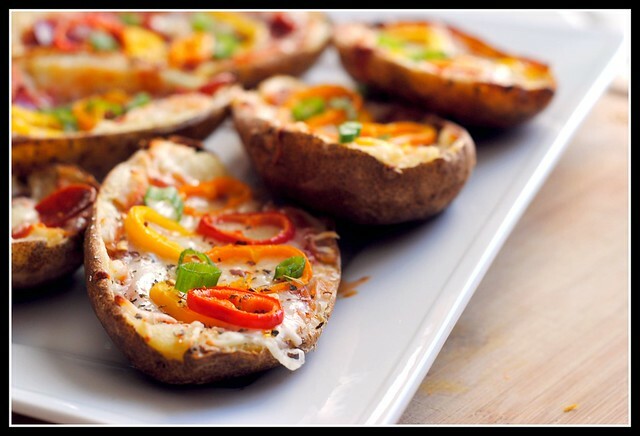 Potato skins are amazing though, and I love the idea of using them for pizzas. Great idea girl! I love all the flavors! Yum– love this idea! And I’m with you on the cauliflower crust thing– no way would that satisfy a craving for actual pizza crust for me! I’ve seen that cauliflower pizza too and it does not appeal to me. 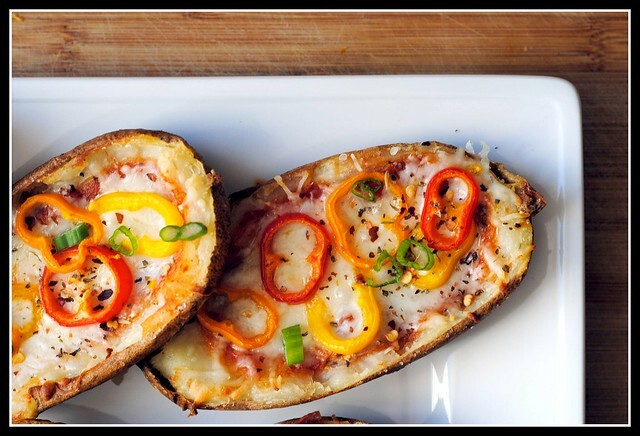 These look fabulous- who doesn’t love potato skins and pizza! Glad I’m not alone!! 🙂 Bleck! On the “too healthy” idea, I’ve found very few things can be completely replaced by something healthy that’s different so I usually just treat myself occasionally and then get on with my regular healthy eating. But a lot of things sound good to me, just to try them for what they are, not as a replacement for anything. Lovely! I bet these would reheat really well for lunch. Wonderful! 30 seconds on high…perfect! 🙂 That was lunch today! 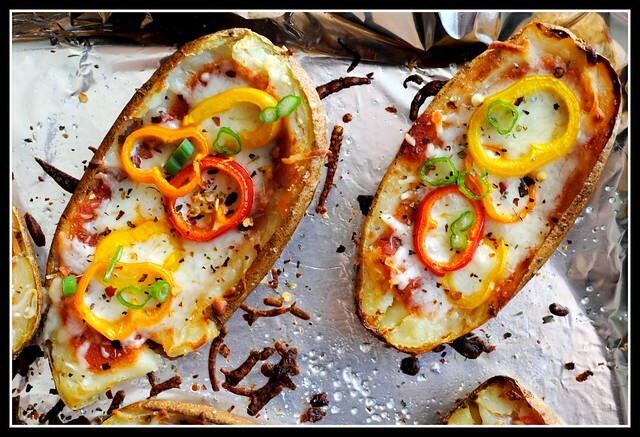 mmmm…pizza potatoes…yum. I could totally go for one right now! I like this recipe idea! I could munch on these all night. Scrumptious. I have been trying to eat more ‘whole foods’ and this is a perfect way to do pizza, how clever!! Thanks for sharing, the pictures are lovely. I’ve always had a love for potato skin. These look divine. I see these in my very near future! Made these and loved them! I think I’ll try to stuff them with spinach for added nutrients next time!